A MySQL replication topology can be very complex (never underestimate a DBA’s creativity). But it’s very frequent to use an asynchronous slave from your primary database to run reporting or logical backup… or any kind of read workload you need. It can also be used as delay slave for data restore purpose. 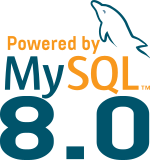 Once you decided to provide HA to your primary database by migrating to MySQL InnoDB Cluster, you can of course still need and use one or more asynchronous slaves. So as you can notice, your asynchronous slave needs to pick one of the members of the cluster as master. However when this node that act as master crashes (or is stopped for maintenance) what’s happening ? As InnoDB Cluster is using GTIDs, this operation is easy, but it would be even better if this change could be done automatically more quickly and without human intervention. Thanks to the router this is possible ! The plan is to run MySQL Router on the slave itself and connect the replication locally. The process is then fully automated and no human intervention is required. So the router is very useful to connect applications to the cluster but not only. Of course multiple slaves can use the same router or have their own router to replicate from the InnoDB Cluster. Thanks for the nice pictorial information. The concept of asynchronous slave to a cluster via local router is working good only when the node was down. 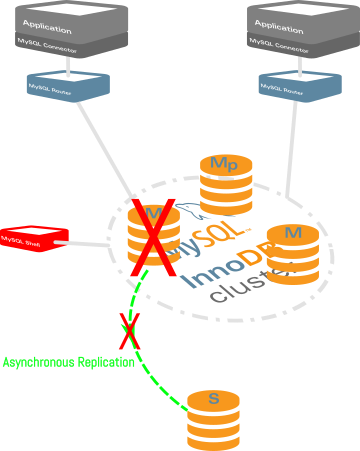 if the node is removed from the cluster, the asynchronous node is still pointing to the removed node and the changes that are made in the removed node is being replicated to the asynchronous node. can you suggest if there is anyway to get this issue resolved ? You are right, if you stop group replication without stopping MySQL this won’t work. But it’s an interesting use case. This is the kind of solution I am looking at. Thanks alot! Have you tried two InnoDB Cluster with Master – Master Classic Replication in between using MySQL Router? Let me know if you try ! In this scenario, it does not. But it’s possible, you will have to configure the primary node to be asynchronous slave of the new promoted Asynchronous Master (previous slave). As soon as one Group Member (cluster node) becomes an asynchronous slave, the full cluster becomes a slave. so if i got it right, once i configure the Master node in the cluster as async slave, the whole cluster become slave to the remote Master. my scenario is to do a primary(cluster) and DR (single node) sites. so whenever the primary site goes down the DR node becomes the master until the Primary site get fixed. 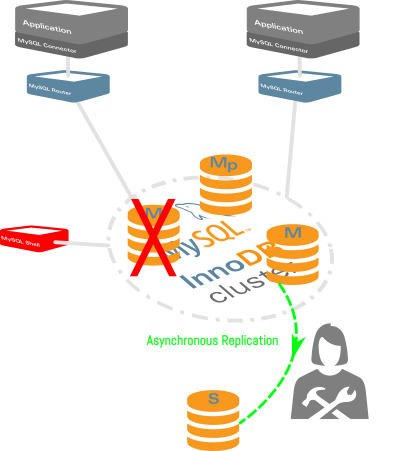 You need to take care of the routing by yourself currently, the MySQL Router won’t take that slave in consideration. Also once the async slave is promoted as async master, you need to take care that nobody will write on the cluster if it shows up. When cluster is back, you need to configure the Primary node to be slave of the async-master and only when it catch up you can switch back roles.